I came across Jura Cycle Clothing at the Tour of Cambridgeshire. Their well-cut, vintage-styled merino wool cycling jerseys stood out amid a crowded array of stands selling bikes and cycling accessories. To be honest, I wouldn’t normally buy a retro bike jersey. I’ve got a few merino base layers but I’ve never previously owned a merino cycling jersey. Being an ex-racer, I’ve always put them in the box of too old school/itchy/hot/liable to sag etc etc. So when Claire, the founder of Jura, offered to send me a merino wool Jura cycling jersey to try I wasn’t sure what to expect. On my first outing in the new top, as I was stopped at traffic lights on London’s embankment, a fellow commuter asked me where I got my jersey. A good start! Since then I’ve worn it on cold mountain passes, sunny Italian roads and London commutes - i.e. in lots of weather conditions. I feel I’ve had the full range of experiences - some amazing, some less so. 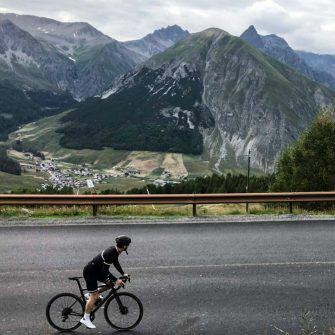 So, is merino wool really a wonder material for cycling garments? Below you’ll find the answer, plus full details of how we got on with Jura’s jersey, tips for getting the sizing right, washing merino and when to wear merino! 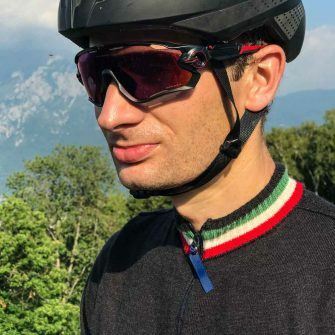 Full disclosure: Jura Cycle Clothing gave us this New Italian, merino wool cycling top to try, but as you’ll see, the opinions you'll read here are honest and our own. One of my favourite things about this merino wool jersey is that it looks super classy. It’s a subtle dark grey with a thin green, white and red band across the chest and around the collar. It’s understated yet striking. The soft merino is very comfortable and I like the way the collar rises high around the neck. The jersey has got a touch of vintage about it, but it’s not a full on retro style cycling jersey. It could almost be something you’d wear casually were it not for the three back pockets. Each back pocket has a button closure at the top. When I first looked at these I wondered if the buttons would make it a headache to access the pockets. Actually I don’t end up opening and closing the button at all - I just slip things in and out, around the button. The button just serves to hold the edge of the pocket up since it’s not elasticated. One thing to note is that unlike many jerseys these days, Jura’s top doesn’t have any high vis features. If you’re concerned, you just need to ensure you wear these on your other clothing instead. Jura’s cycling jersey is unisex. 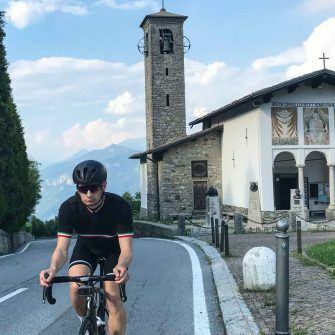 Of all their designs, I think the New Italian jersey I tried has probably got the most masculine colours in it - if you’re a woman after a merino cycling jersey, check out the whole of Jura’s vintage-esque cycling jersey range before deciding. A final point on the design - Jura are able to personalise the designs. So you can get a custom wool cycling jersey designed with things like your name, team strip, club, logo, charity, company or mountain added. How cool is that?! 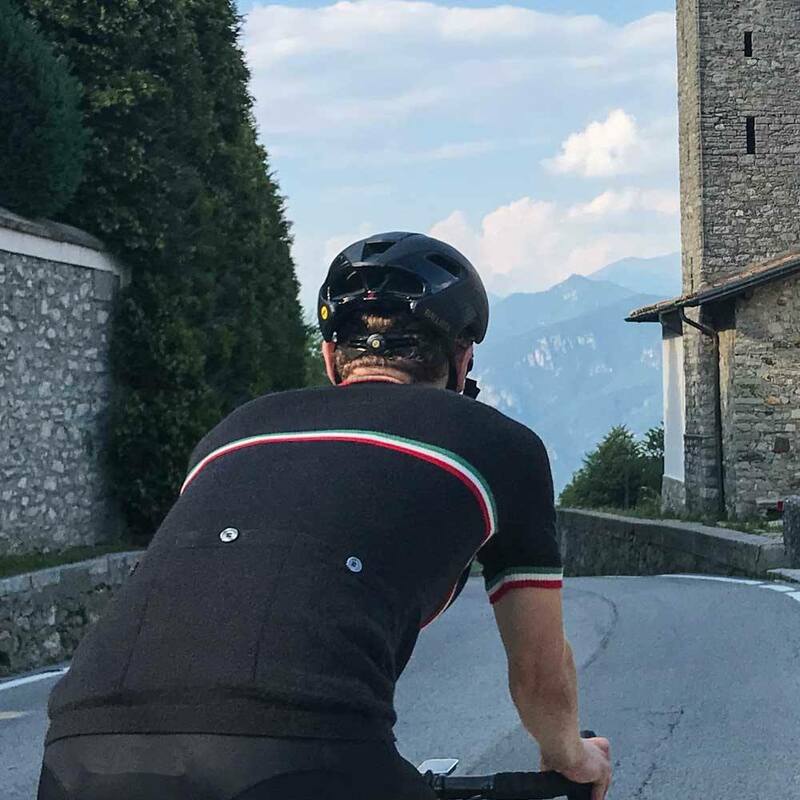 Unlike many ‘merino wool’ bike jerseys that are blended with a technical material, this one is made from 100% merino wool from Italy. The result is a jersey that you’ll pull from its wrapper and stroke a few times just to appreciate the softness of the wool! I tend to always wear a base layer under a jersey but, even then, Jura’s cycling top feels very luxurious. Who knows, given how lovely this top feels to wear and the fact it doesn’t get smelly, given some time I may even abandon the vest when wearing my Jura jersey. head to Jura's website to check prices! My measurements are 1.80m (5"9') tall, 74kg (11.5 stone), with 96.5cm (38 inch) chest. According to the sizing chart, I should have been a medium. However the tops are designed to be quite loose and I’m used to a tighter racer fit. I opted for size small and am very happy with the sizing across my chest. The length in the body is also good. The arms are a little shorter than I’m used to, but still acceptable. 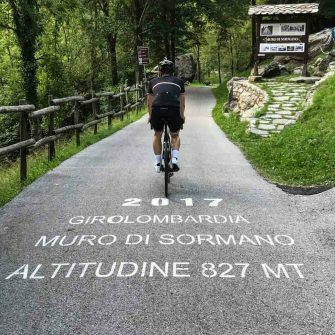 Wearing it while cycling the infamous Muro di Sormano (average gradient of 17% and a maximum of 25%) in 30°C heat was not a good idea. 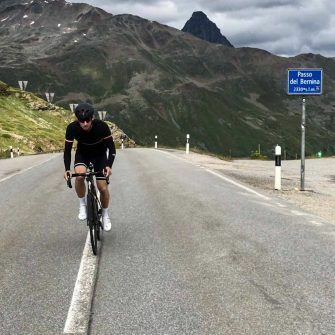 Merino might be heat regulating but, in retrospect, it should have been obvious that wearing merino wool cycling clothing up a pass like that was not sensible! Where I’ve found merino works best is the sorts of temperatures you usually get in the UK - anything between about 15 and 25°C. In those kinds of conditions, the jersey does a great job of being very breathable and keeping me at the right temperature. I also don’t miss having a longer zipper in these kinds of environment. My real epiphany moment was the first time I did a double commute in it - i.e. both morning and evening in the same top. I wore it into work on my 60 minute commute one morning. I left it festering in my locker for around 10 hours before my ride home in the evening. I opened my locker with the usual dread of putting on a cold, clammy, smelly cycling jersey. To my amazement, it wasn’t damp and didn’t smell. A total revelation: I am a merino convert! 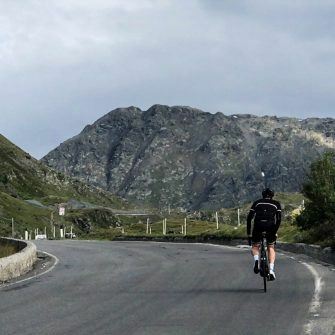 The Jura jersey also performed well in colder temperatures, towards the top of the Bernia pass in Switzerland in July. With a thin base layer under it and arm warmers, I was fine - though didn’t want to hang around too long at the 2,300m summit! With a decent base layer and arm warmers, I think the jersey should be good for riding through much of the UK’s Autumn. One of my other concerns at the start of the trial was how merino would wear. Would it stand machine washing in our busy family household where hand washing would be out of the question and it would be very lucky to get anything other than bunged in the usual 40 degree colours wash? At the time of writing this review, I’d estimate the top has been washed around 10 times, usually at 30 degrees in a special net bag, but it has also faced a risky 40 degrees surrounded by potentially hole-creating zips... So far it has come through unscathed and still looking good (though I don’t suggest anyone takes our slightly reckless 40 degree approach: follow the instructions on the label). I’ve been very impressed with Jura’s cycling jersey. The merino feels great to wear and it’s a superb choice for all but very hot days. I think it’s perfect for anyone looking for a modern take on a vintage wool cycling jersey. 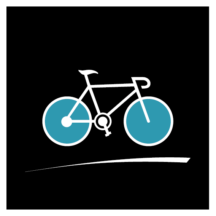 head to Jura cycle clothing's website to check prices! Looks better than Lycra, particularly if you’ve got lumps/humps in the tummy department that you’d prefer to hide! 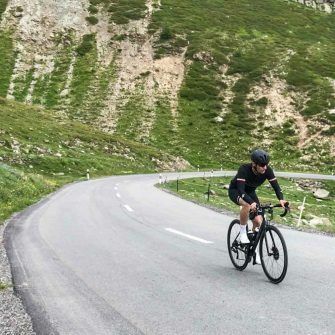 What do you think of Jura's merino cycling jersey? ​Let us know your thoughts and any questions: get in touch! If you're packing for a cycling trip, check out our ultimate packing list. 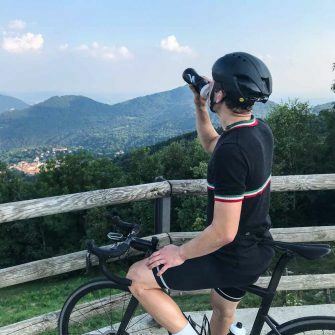 If you're looking for a more racing look, take a look at our Stolen Goat cycling jersey review.